Writer based in Birmingham, UK. I especially love writing about theatre, film comedy and music. Visit my blog at https://medium.com/@HelK_. 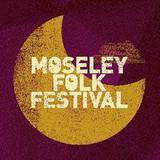 This year Moseley Folk Festival celebrates its 10th birthday with an especially brilliant line-up. Friday night is headlined by psychedelic space rockers Spiritualised, Saturday by Scottish indie boys Idlewild (who are sure to play 1990s favourites When I Argue I See Shapes and Little Discourage) and on Sunday 1960s pop legends The Monkees should get everyone dancing. Other highlights include a rare chance to see the multi membered Polyphonic Spree, a set by critically acclaimed guitar genius Anna Calvi and music from ex-Supergrass singer Gaz Coombes. As you would expect, the best of the UK folk scene is also represented, with Martin Carthy, The Unthanks and local bands The Cadbury Sisters and Goodnight Lenin also performing. This is sure to be a 10th birthday party to remember. Hope there's jelly and ice cream.